Picking out the party hats and setting the guest list is the easy part when it comes to planning your child’s birthday party. 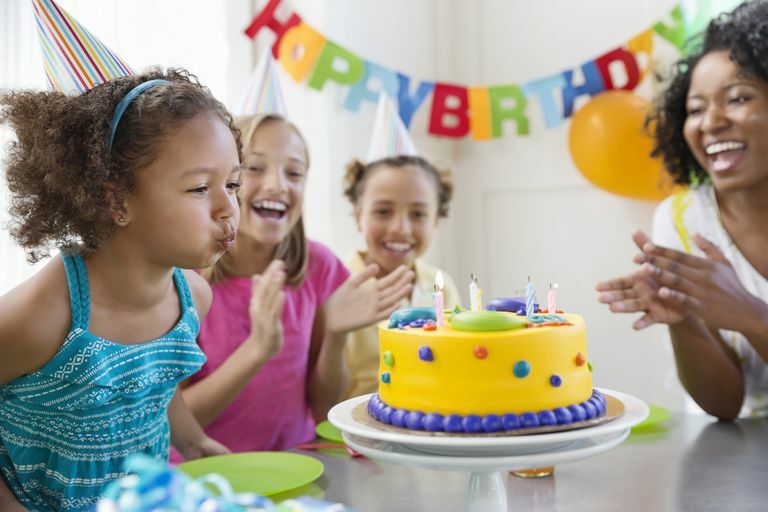 While you have a year to think about how to celebrate your child’s birthday, it might seem like that is not enough time. Figuring out what to serve, what to do about the cake, and all of the other essentials can feel overwhelming. This is especially true for a parent of a child with food allergies. Ask almost any kid you know about how they envision their birthday party and they will ramble on and on with a list of thoughts. Some want ice cream cake, others want pizza, some want a piñata with candy, while others prefer cooking with their friends. And then there is the cake. Many kids want the cake decorated in a theme they have thought about since their last birthday. There is barely a kid who has not dreamed of blowing out candles atop a delicious and beautiful cake. For the kid with food allergies, the dreams of the perfect birthday party will not vary much. They still want to celebrate with their friends, enjoy their favorite snacks and see their names on top of the cake. For that one day, the birthday kid wants to be like everyone else and forget that they have food allergies, even for a short while. And as a parent, we try to do our best to make the birthday party an event filled with fun, smiles, and memories. Instead of getting stressed, take the time to plan ahead and plan a party that you and your child can enjoy. Don't let the food allergies get in the way of an important celebration. Birthday Venue. Be sure that the facility can handle your child’s food allergy needs. Talk to the manager to be sure that they have handled food allergies in the past and can ensure your child’s safety. Discuss the option of bringing in outside food if that is something that will provide a safer food situation for your child. Many families also opt to have parties at their home, where they can ensure an allergen-free environment. Sometimes, this is the perfect solution to meeting your child’s needs while also creating a fun-filled celebration. By having the party at your home, your child will have no need to worry about cross-contamination. You can cook your child’s favorites or stock up on familiar foods so that your child can eat the same foods as the guests, without worrying about allergies. Menu. Wherever you have the party, it is important to plan a menu that meets your child’s allergy needs, as well as offering the foods that fit best for the party theme. Try to plan foods that would allow your child to eat the same as their friends. For example, if your child is gluten-free, you might serve corn tortillas with salsa as a snack, so that they everyone can enjoy the food. If your child is dairy-free, maybe opt for shaved ice as a treat over ice cream. Perhaps have a cooking activity, so that everyone can prepare food together, showing that even the person with food allergies can be a part of it. Perhaps you can do a make-your-own pizza party with gluten-free crusts, dairy-free cheeses, or toppings that everyone can safely enjoy. Or perhaps play “cupcake wars” with egg-free cupcakes that were prepared with the birthday child in mind. Regardless of the allergy, there are plenty of party foods that can be served that will keep the kids asking for more. Cake. No party is complete without the candle-topped cake. Let your birthday child decide what kind of cake they prefer. Fortunately, there are many bakeries that can make allergen-free cakes. Do a little bit of research in advance so you can get one ordered in time for the party. Additionally, there are many pre-packaged mixes available at the market that can easily be prepared at home and decorated for the occasion. Or perhaps you might want to include your child in the baking process and use an allergen-free recipe to bake one at home. There are gluten-free flours, egg substitutes, non-dairy milk and many other options to consider when baking a cake. What a great way to bond with your child as you bake and decorate their cake to share with their friends. Party favors. When kids think about party favors they often think about candy first. But it is important to think out of the box when it comes to party favors for your child with food allergies. Why not consider giving away something other than candy or food at the party? For example, you can give out fuzzy socks, paint or marker sets, mini soccer balls or something else that represents your child's interests. If you plan to give out a goodie bag of candy, think about the best options that even your child can enjoy. If your child has a nut allergy, choose an array of candies that are nut-free, and if your child has a dairy allergy, choose the sour and gummy candies over the chocolate varieties. So forget stressing over planning your child’s birthday party and instead take the time to plan ahead and enjoy it. Make this year’s party full of safe eating, lots of fun and smiles from ear to ear.